Whether you are an adult, a teenager, a senior, or an athlete, fitness is about improving your mind, body and overall quality of life. 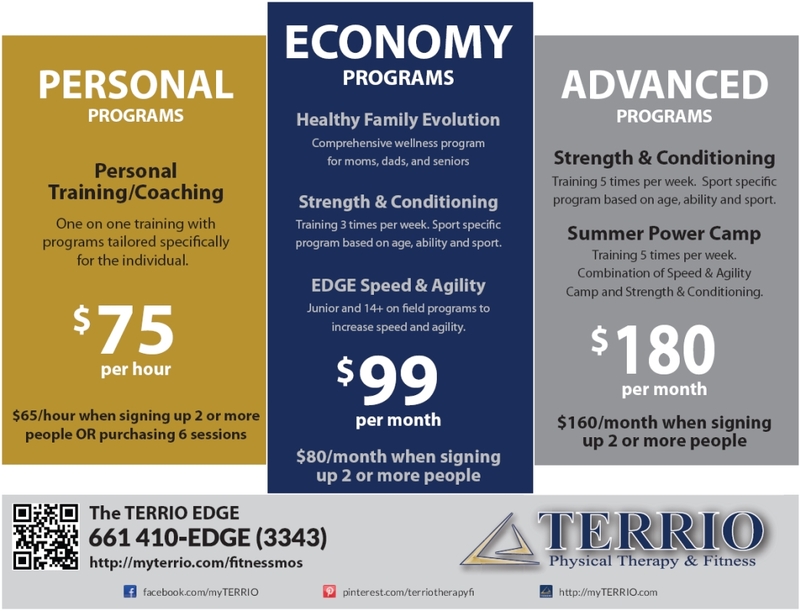 The human body was designed for activity and TERRIO has the programs to help you get to where you want to go. Call Today for Fitness Services! Sport-specific program based on the person's age, ability and sport. First we build a foundation of movement and then we can move toward sport specific. Combination of Speed & Agility Camp and Strength & Conditioning. On field program to increase speed and agility. On field program to teach proper running form and the basics of speed, coordination and agility. One on one training with programs tailored specifically for the individual.